2.1- Start Single Player so it creates a folder called 'Players', then exit. 2.2- Start the MultiPlayer and exit after it says that it can’t connect to the black ops server. 2.4- Open config_Mp.cfg in notepad. 3. Tada ! you have killstreaks enabled. NOTE: Will add a guide on how to edit classes and killstreaks soon because the current weapon list website is down. 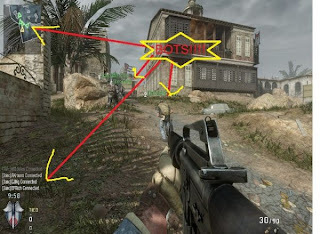 how to add or remove bots ?? I would definitely look forward to the information provide in the post and it will be really helpful to me. Thanks for author for this efficient information. hmmmm a blops 1 screenshot.... interesting..
why the game too short?? the FFA's objective is 1500, and i want to extend it for like 3000 pts or more, how can i do that?? The moment I saw it I knew that Call of Duty: Black Ops III would be one of the candidates for game of the year. Since it came out I have played almost 100 hours (which is a lot for me) and have really enjoyed all of it. If you are curious how it looks like you can check out some gameplay here https://www.youtube.com/watch?v=HErB4bNJ0BE. I can tell you that this game is totally worth it.